Gold has posted sharp losses in the Thursday session. In North American trade, the spot price for an ounce of gold is $1252.92, down 0.84% on the day. It’s been a tough week for gold, which has declined 1.6% and is at its lowest level since August 8. On the release front, unemployment claims dipped to 236 thousand, below the estimate of 239 thousand. On Friday, the US releases three key employment indicators – Average Hourly Earnings, Nonfarm Employment Change and the unemployment rate. We’ll also get a look at consumer confidence, with the release of UoM Consumer Sentiment. US employment numbers have been steady this week, as unemployment claims and ADP nonfarm payrolls both beat their estimates. However, a tough test looms on Friday, with the release of nonfarm payrolls and wage growth. The ADP reading slowed considerably compared to the previous release, and the markets are predicting the same trend for nonfarm payrolls, which is expected to come in at 190 thousand. 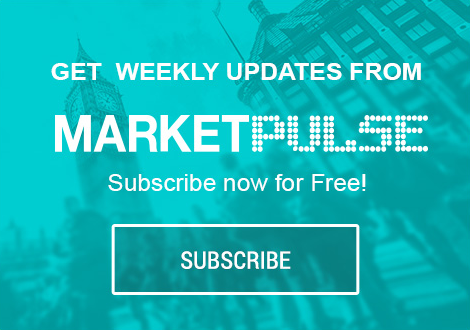 As one of the most important indicators, nonfarm payrolls could shake up the markets, so traders should be prepared for some movement from GBP/USD in Friday’s North American session. Wage growth has been stubbornly weak, despite a strong labor market and assurances from Fed policymakers that inflation and wages will move upwards. The markets are expecting good news on Friday, with Average Hourly Earnings predicted to gain 0.3%. The October reading of 0.0% was a disappointment, missing the forecast of 0.2%. The markets are widely expecting the Federal Reserve to continue to raise rates in the near future, and this sentiment continues to weigh on gold prices. The odds on upcoming rate hikes continues to fluctuate. Currently, the CME has priced in December and January hikes at 90% and 88%, respectively. If the US economy continues to perform at its impressive pace into 2018, we could see the Fed raise rates up to three times next year. XAU/USD ratio remains unchanged this week. Currently, long positions have a majority (72%), indicative of trader bias towards XAU/USD reversing directions and moving to higher ground.